Ice cube trays are one of the most used items in my kitchen. Why? Because they make a mundane task SO much easier so you spend less time prepping and more time enjoying cooking and company. I literally freeze everything – some might surprise you. Beverage Cubes. 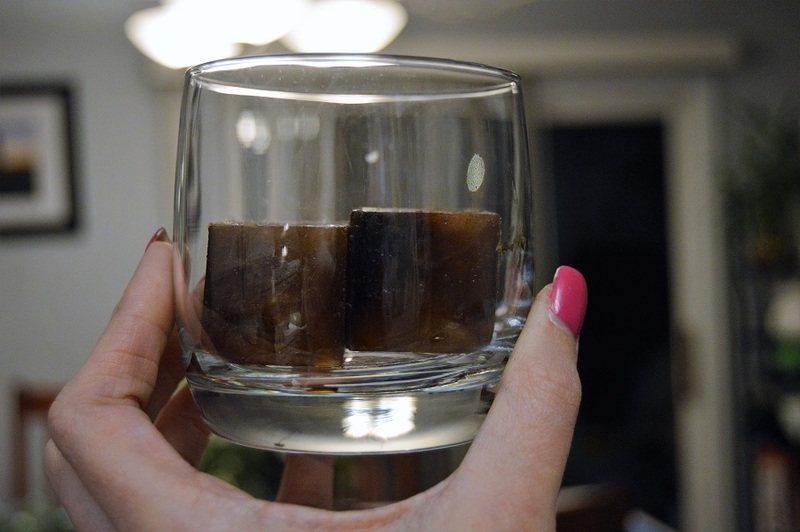 The most used cube in our freezer is a coffee cube. I brew coffee (usually a cheaper, lighter roast) fairly watered down. 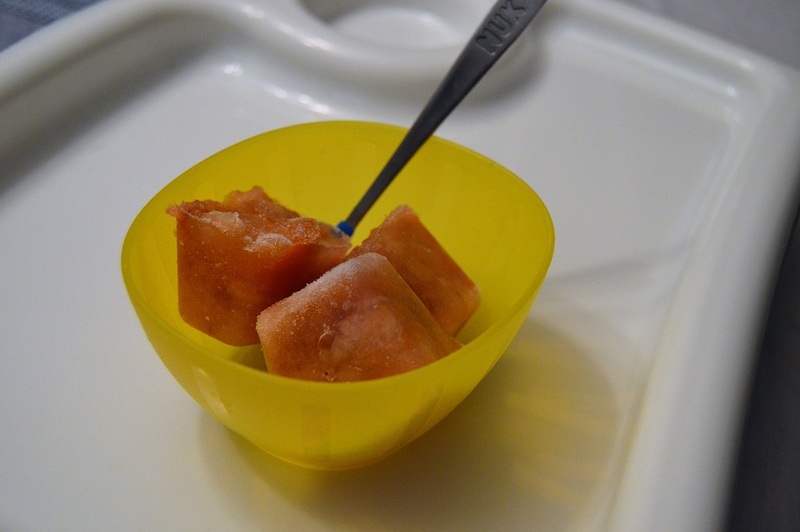 I pour it straight into an ice cube tray and put in the freezer for about a day. 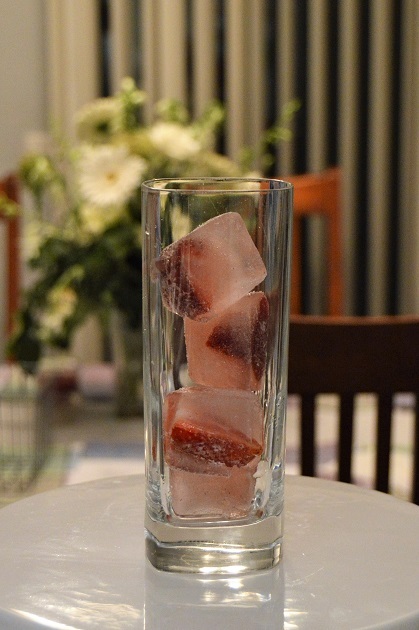 Strawberry cubes are a new phenomenon. I had strawberries that were going bad so instead of throwing them out, I put a slice into each tray-cube and added water. These are so fun and a great way to spruce up a glass of water. I have also frozen tomato juice to keep Bloody Mary’s from getting watery and weak! I’m a huge fan of the silicone ice cube trays for liquids like these because they are extremely easy to remove. Spices, Seasonings and Sauces. This is a large category since it’s the most common thing for me to freeze. We have been making our own chicken and vegetable stock for years now using all the ends and scraps of vegetables. How often does a recipe call for 1 cup or some small amount of stock and you end up buying a can or carton and dump the rest? Used to happen to me ALL the time. After I boil and reduce my stock, I let it cool and freeze one or two ice cube trays and the remainder goes into a freezer bag for when we need a larger volume. 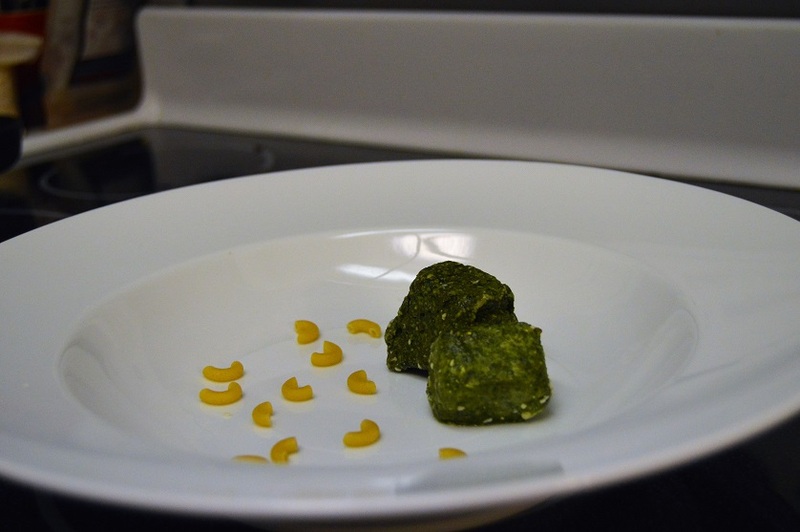 When I have leftover basil and spinach leaves I like to make pesto in bulk and it’s oh so easy to freeze – and you can grab a cube anytime to make a quick meal. As mentioned a few times, I am a huge fan of Spanish food and the seasonings that are used. We make sofrito and freeze that too! Pasta and pizza sauce also freezes great and makes English Muffin pizzas so easy. BBQ sauce does not freeze – FYI. 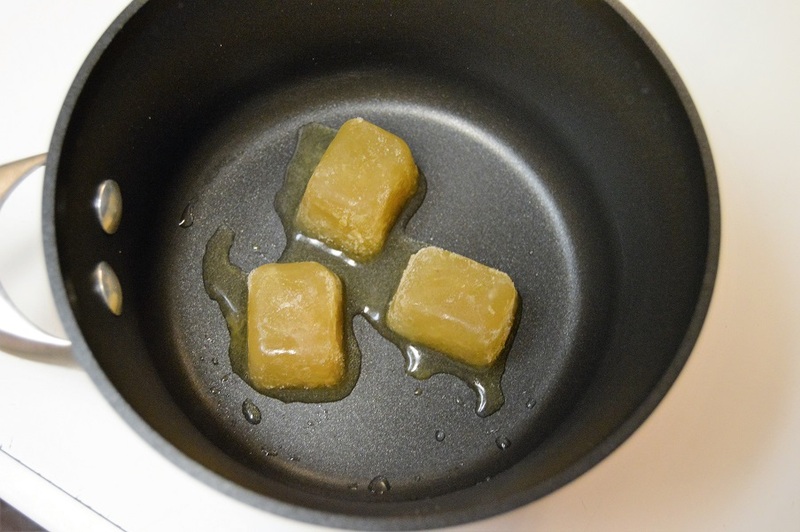 I prefer regular plastic ice cube trays for sauces since they stand up a little better and are sturdy. Try to get ones that are more pliable and easily bent so you don’t end up snapping it when trying to release the cube…been there done that. I believe mine came from the dollar store! Baby Food. Ever since Brandon started eating we have been freezing his food in cubes. We would spend the weekend peeling, steaming, boiling and cutting fruits and vegetables, boiling and mashing then freezing it in cubes. 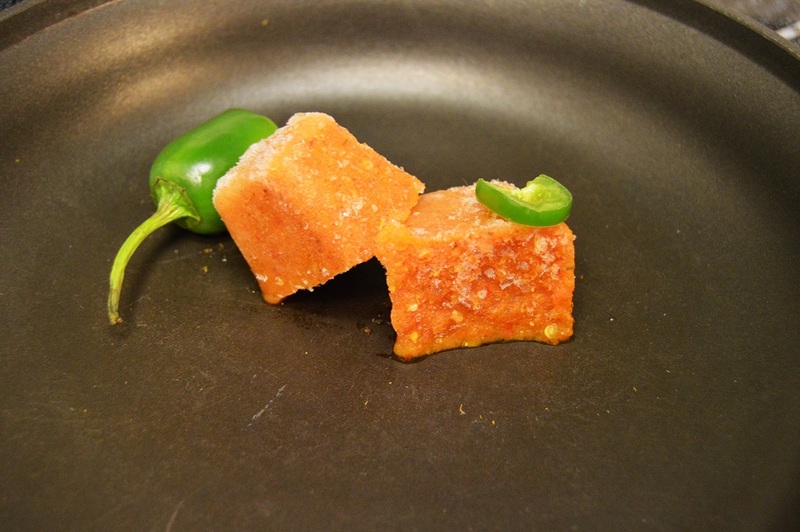 In the morning it’s so easy to grab a couple cubes and pop them in the microwave! Have a little fun with this. There are ice cube trays in every shape, size and design! Disclaimer: I promise every one of these ice cubes was in my freezer before I even thought about posting about it…this is really how we live – with bags and bags of ice cubes shoved in every inch of our freezer. This entry was posted in Uncategorized and tagged Cooking, Meal Planning, Meal Prep on May 11, 2016 by Danielle Laroche. Brilliant! So easy and nothing goes to waste!